River Level was created in Australia, initially for NSW waterways, so had only shown measurements in meters & celsius. After the addition of USA rivers boosted the app's popularity in America the option for feet/fahrenheit was requested by a lot of American users (understandably) so I was happy to find some time to add the option. 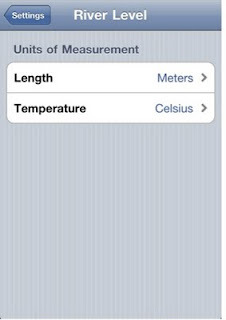 Units of measurement can be customised by going to system Settings / River Level. 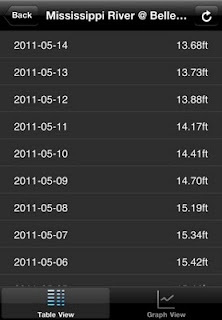 To make the user experience even smoother, the first river you add determines the default units of measurement. So if the first river you add is an American river, the units automatically default to feet/fahrenheit. This should remove the need for most users to access Settings. River Level is free in the App Store.